"I am very happy with the work both you and Ben have done. It's great and we love it!" 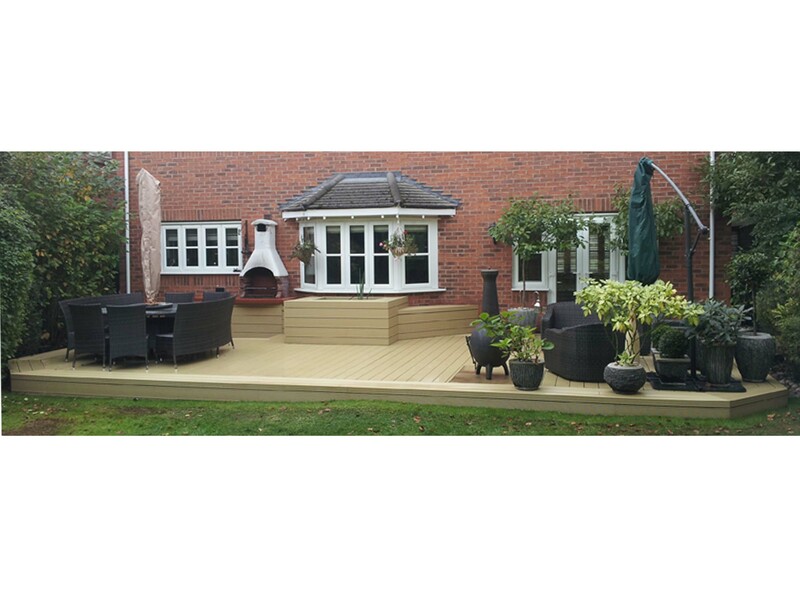 An ultra low maintenance deck that incorporates a raised pond, benches, a BBQ and a chiminea. This contemporary 15 year old property lies in the heart of Rutland. Its rear garden has been nurtured over the years and benefits from well established plants around the border. The concrete patio remained untouched and was suffering from the usual tell tale signs of old age - scuffs, chips and moss growth. The owner, having modernised the interior of his home, felt it was time to improve the outside space. 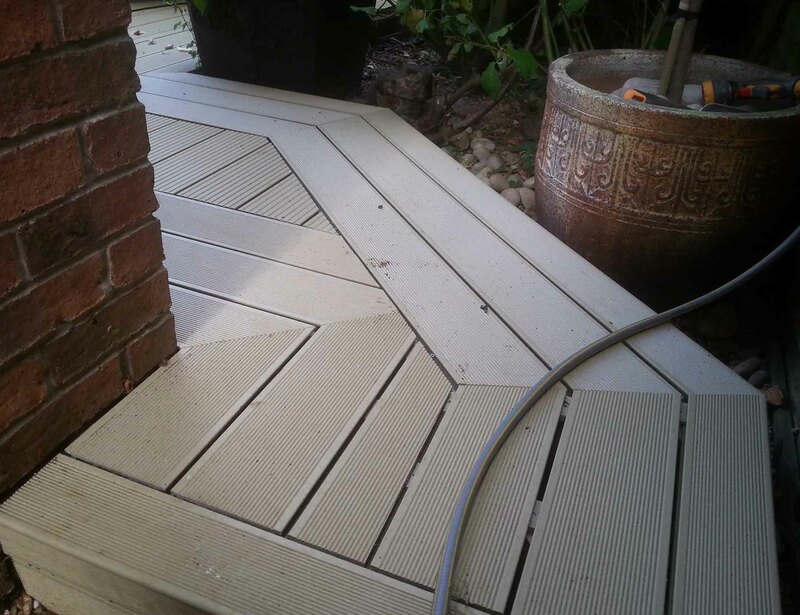 He wanted a low maintenance decking product and decided upon using a product from the UPM Profi range, a wood plastic composite material. This product is manufactured to provide superior stain and algae resistance compared to wooden or other composite products. 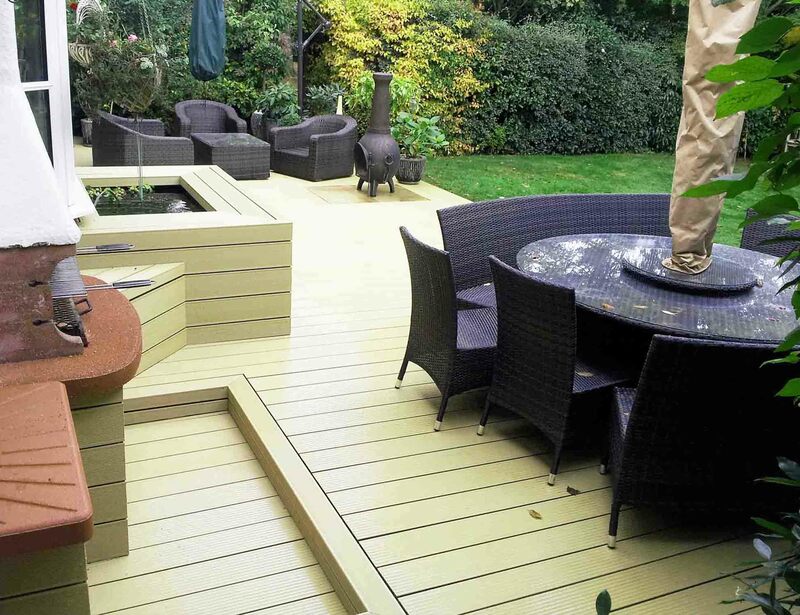 During the design process, we used 3D pictures and detailed drawing layouts to make sure our client was fully involved with how the decking would look. 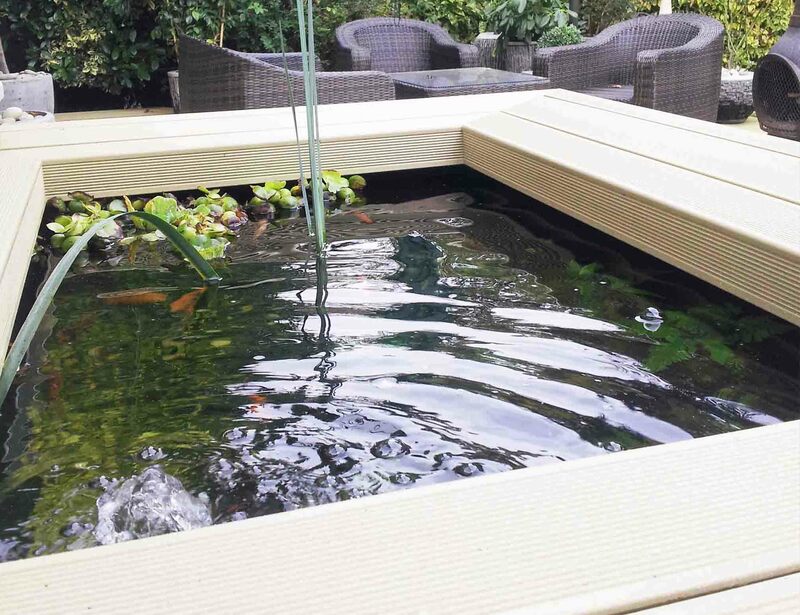 We formed a pond from the deck that rises above the floor and is robust enough to sit on. Merging into either side of the pond are benches with lift-able lids, one of which houses the pond’s pump and filter unit for extra convenience. 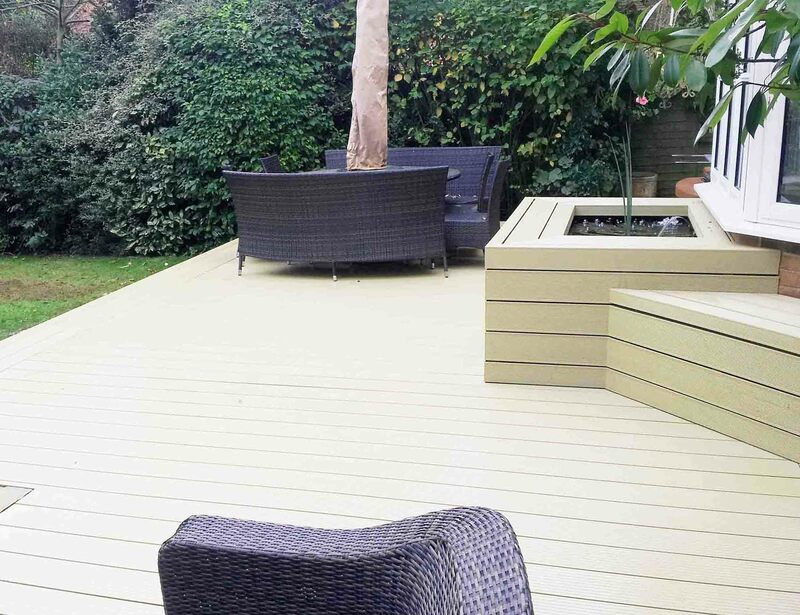 We formed a purpose built area of recessed deck for the BBQ to sit in and clad the sides of the BBQ in decking so that it seamlessly blends in with the floor. 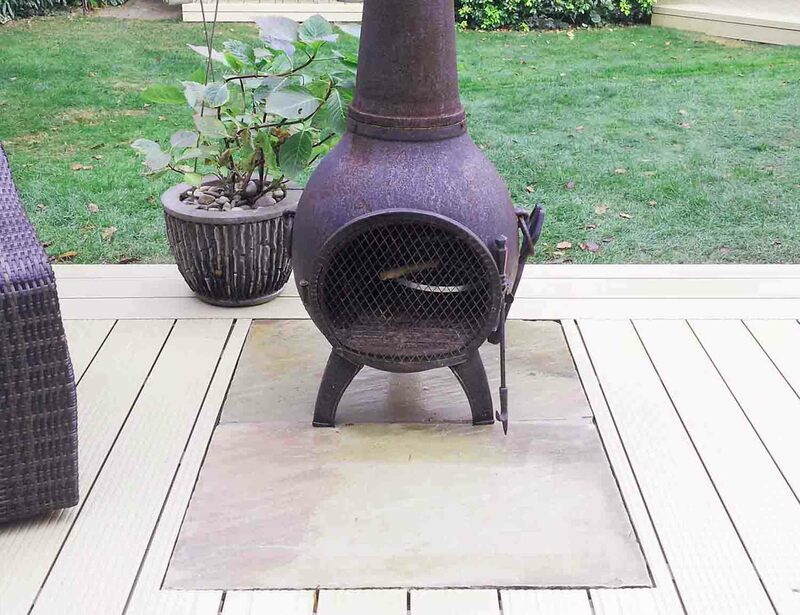 Central to the seating area stands a chiminea for those cold winter nights, which sits on heat proof sandstone slabs that lie flush with the surrounding decking. 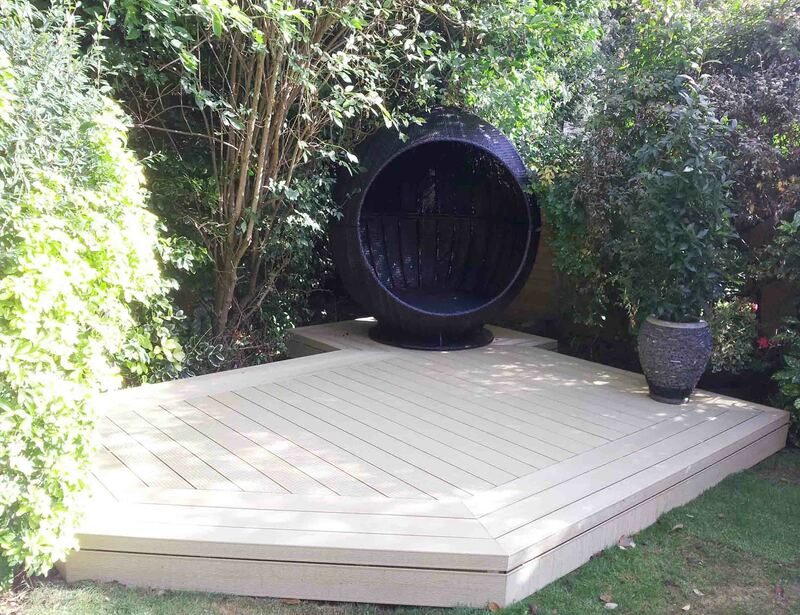 Over the other side of the garden, where the daytime sun is most prominent, we constructed a sun bed deck that is enclosed within shrubbery and trees to the sides for complete privacy. Upon completion, our client commented: "I am very happy with the work both you and Ben have done. It’s great and we love it!" Posted in decking, portfolio and tagged contemporary, deck, decking, eating, garden, relaxation, seating, sun bed.